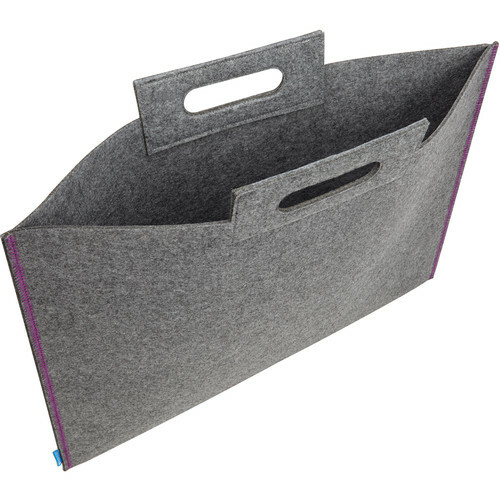 For Artwork or Prints up to 14 x 21"
14 x 21" 17 x 23" 19 x 26" 23 x 31"
Store, protect, and transport your 14 x 21" fine artwork or prints with the gray/purple Mitown Bag and Large Format Artwork Carrier from Itoya. The carrier features reinforced handles and a durable, one-piece construction. Box Dimensions (LxWxH) 23.0 x 15.0 x 1.0"